Right, that’s the Christmas Day sh*te out of the way. Roll on Boxing Day. I jest of course – Christmas Day is a cracking time to relax after the panic of buying and wrapping gifts, cooking the meal and trying to stop the pet destroying the place. I hope you all had a very merry Christmas, in fact. But football’s own festive serving comes on Thursday December 26th, with all 92 Premier League and Football League clubs playing. The Beautiful Game at its purest and most traditional. But let’s zero in on Goodison Park, and the 11th Boxing Day meeting with the Stadium of Light side emerging still from Dark Ages football. 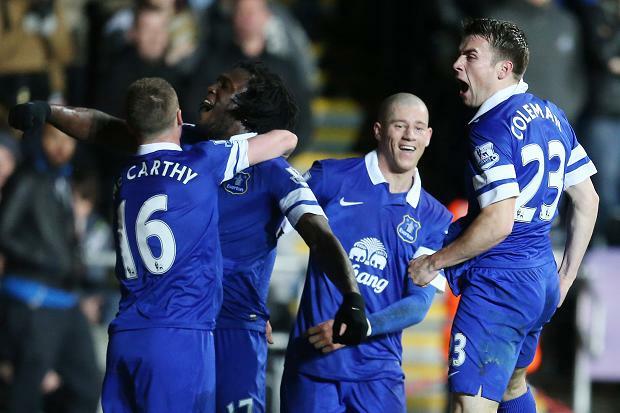 Surprisingly, this is only the 2nd time we’ve met Sunderland on Boxing Day at Goodison. The other time was a 5-0 thrashing in 1999, with Jeffers, Pembridge and Campbell adding to a Don Hutchinson brace. And if we overcome this lot at home for the seventh time in succession, they will return to the summit of sides we have beaten on the most occasions (currently joint with Aston Villa – 78 times). So they’re cannon fodder. Let’s concentrate on how boss we are, eh? As Lower Gwladys Lad has articulated as well as anyone in his recent piece, the focal point of another well-won three points last weekend was Ross Barkley. He asks “How great is it seeing such a young, hungry and talented footballer blossoming in our team?” – the answer consists of any superlatives that come to mind. The man – and man he now is – has been the catalyst of our success in the same way as our reinvigorated back lines have become the anchor. Lukaku scores goals but can go missing. Mirallas hasn’t hit the form he’s capable of, Pienaar will never be the man he was pre-Tottenham, and the likes of Osman and Naismith just don’t have the ability to change games. 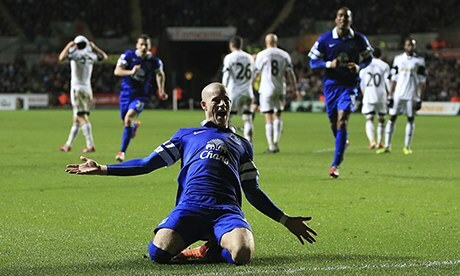 And now Ross Barkley has proved that he can. Who knew that he could take free-kicks like that? Not even he did. But that’s what’s in the proverbial locker. It’s fair to say that, although we engaged Swansea in a match all about good football, we didn’t go up the sufficient gears as a team to make it the Everton spectacle we’re capable of. But up stepped our Ross, fresh off the jarg haircut from the ma that we’ve all had at some point, and whipped one right in off the bar – a la Rooney. But unlike Rooney, Barkley isn’t off sniffing money and the only grans he needs are his parents’ mothers. All set then. At 25 years old, Seamus Coleman is just reaching footballing maturity, and it turns out the wee Irish kid we signed for the money Frank Lampard spent in Burger King this year is one of the league’s very best. I will admit that I wasn’t sure if he would even eclipse Tony Hibbert – but he’s on his way to becoming a talent Everton have been begging for at right back since the days of Gary Stevens. His nation might do well from it too. What got me about Coleman’s performance on Sunday was the pure swagger. Bombing past any opponent he pleases, having a pop from about 30 yards, and then trying to do a Ketsbaia. Pure confidence flows through that one. 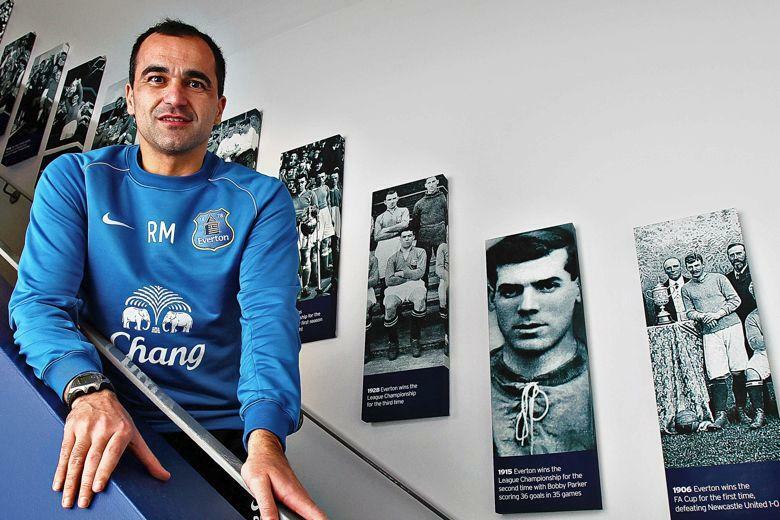 Easy to say that it’s all Roberto, Spanish sunshine etc. But the truth is that we’ve got a team that is bang in form and just reaching those levels that make you think of ridiculous, impossible things. We’re two points off the top now, and in fifth place. From those fixtures, is there any reason to think we shouldn’t be in an even better position once the first game of 2014 has been completed? First, the opposition. Sunderland are a bird with a broken wing at the moment – struggling like hell to lift off. It’s going alright, with two good home wins against Man City and Newcastle. But their away form reads played 8, drawn 3, lost 5. And yet when I predicted that this lot would finish 15th, I was scoffed at by a fair few Mackems. They’d probably take it now. Gus Poyet’s side does look like it’s going to ascend at some point. We’re looking pretty solid in terms of squad strength, although pundits have grabbed at that particular straw to plot our downfall – which, of course, must invariably happen. It must. Added to the matchday squad this time are Nikica Jelavic – back from a hamstring strain rather than a night serenading Sam Allardyce – and Leighton Baines. How can we have any issue with a “threadbare squad” when the league’s most boss left back returns and a few people are wondering if he should even slot back into the starting line-up. It would be almost as harsh on Bryan Oviedo as that daft own goal which he was powerless to prevent on Sunday, but it will happen. Meanwhile, Sunderland are missing three first team defenders (O’Shea, Brown and Cuellar.) Anyone who has been watching the Black Cats will agree that losing Wes Brown to what was this time a legitimate…ish…suspension is a major blight to Sunderland’s already slim chances of taking anything from Goodison. And that’s what has changed. Right there. Does everyone remember that defeat? Yep? The overriding feeling was disappointment. We had taken on a big player, looked good, and choked. Yet the manager didn’t see it. Roberto Martinez will be looking at the table knowing that a win takes us to more points then he gained with Wigan in an entire season. What’s more, he’ll be looking at the red sh*te on the top of the tree, knowing that what we want more than any Christmas gift is to get to that point and kick them off it. So there will be no belated Christmas gifts for Sunderland. Solo lo mejor.